And that is how horror films start. January 4, 2013 July 18, 2014 Joanna V.
My sister and I decided to travel a short distance from home this weekend, as we do from time to time. It was a last minute type decision so I looked online and found a hotel that sounded good, called and made a reservation. I should tell you now that we knew it was a historic inn. It got great reviews online and the manager I spoke to was friendly and helpful. It’s the off-season and we got a great rate. Sounded fantastic! So tonight we drove into town, found a place to eat dinner, and then plugged in the address to the GPS. We saw it first as we came around the corner. 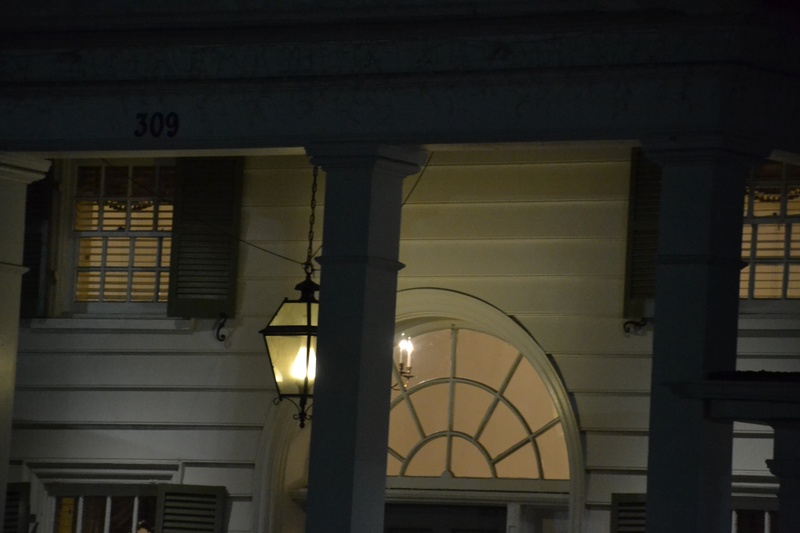 Tall, white columns, large carriage lantern over the door…. and not a car in the parking lot. I slowed down, and we pulled into the spot right in front of the main door, assessing the situation. 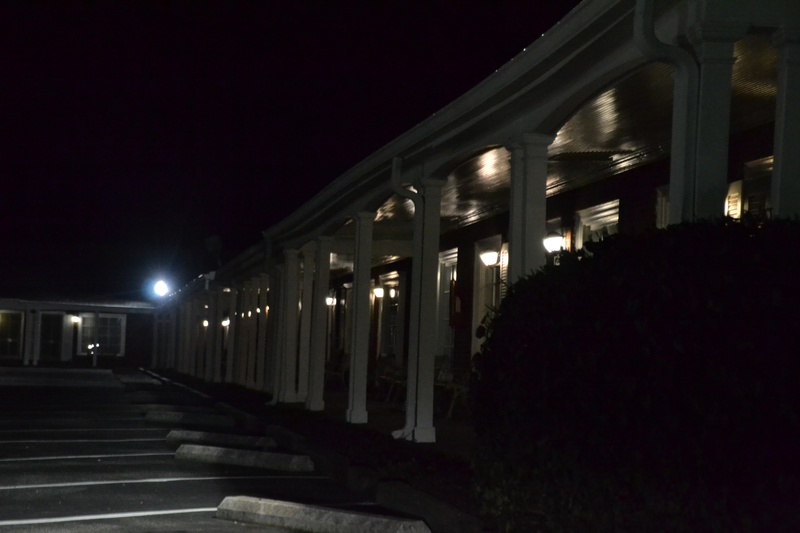 It was one of those old motor-inn style affairs, with the parking spots right in front of the little doorways, a light above each one. Painted white, metal latticing, etc. Y’know, quaint. A breeze was making the carriage lantern sway slightly. The shutters were just a little crooked and rattling. And then we noticed that our cell phone signal had all but disappeared. And then the lights flickered. That is how horror films start. We couldn’t call to order a pizza, much less cops in case of a MURDER outbreak. 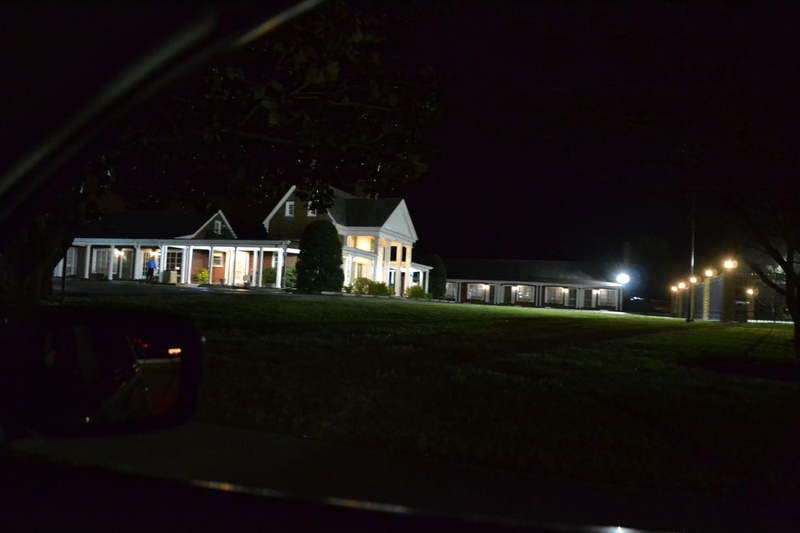 So we backed out of the parking lot and drove quickly back to the nice place we’d passed on the way to dinner earlier. When we told the woman at the desk our story, she gave us a discount. Thank you, front desk lady. My sister did remind me that this is only the second scariest Murder Hotel she’s visited in the last year. This one, she says, was like Sunday afternoon in the park compared to the other one, mostly because of the lack of blood spatter. Bonus for that.